Robert Edward Tickner was born in Sydney on 24 December 1951. Robert Tickner was educated at Forster High School and Taree High School. He graduated as Master of Laws from the University of Sydney in 1977. He joined the Aboriginal Legal Service becoming Principal Solicitor from 1979 to 1983. In 1982 he gained a Bachelor of Economics degree. He was a lecturer in Business Studies and Law at the New South Wales Institute of Technology. Tickner was elected president of the Society of Labor Lawyers. From 2000, he was CEO of Job Futures. In February 2005 he was appointed Secretary-General of the Australian Red Cross. A former resident of Surry Hills, he moved to Corrimal near Stanwell Park, NSW, in 1983. Tickner was a member of the NSW Council for Civil Liberties. 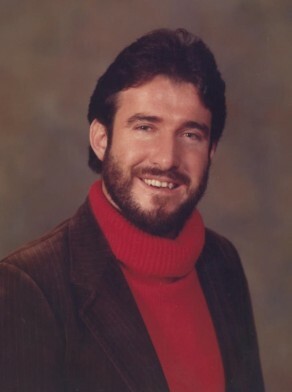 Robert Tickner was elected Federal ALP member for the Seat of Hughes from 18 February 1984 to 2 March 1996 when he was defeated. He became Minister for Aboriginal and Torres Strait Islander Affairs in 1990 and was subsequently appointed the Minister Assisting the Prime Minister for Aboriginal Reconciliation. Robert Tickner was Alderman for Flinders Ward, 17 September 1977 to 13 April 1984. Tickner was a member of the Works Committee and the City Planning Committee in 1978 and the City Health and Engineering Committee and Community Services in 1979. He was the Chairman of the Community Services and Health Committee, 1980-81, the Housing, Properties and Public Works Committee, 1981 and the Finance and Industrial Relations Committee, 1982-84. Tickner was a member of the House Committee and the Works and Housing Committee in 1982. He is a member of the Australian Labor Party.